If you have a radon mitigation system in Tennessee that is over 5 years old, Precision Air recommends that your system be inspected to ensure you are protected from radon exposure. To contact us, call 1-844-386-0719 or contact us online today! We serve Tennessee, including Nashville, Franklin, Murfreesboro. 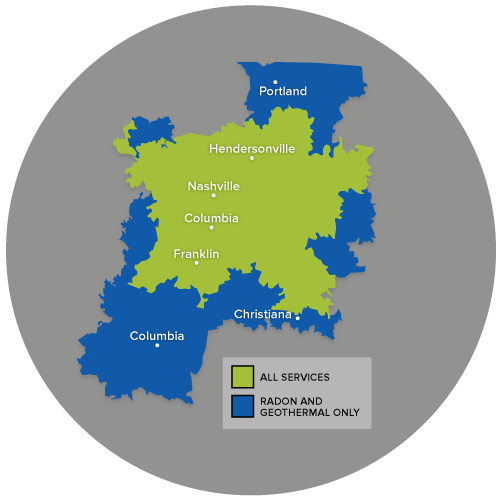 Contact us today for more information about your options for radon testing and radon mitigation in Hendersonville, Antioch, Smyrna, Brentwood, Madison, Hermitage, Lascassas.